I think we all must have a wishlist like this - a selection of regularly mentioned and raved about products that you desperately want to try because they must be worth the hype... Then you hold off because you wonder if they really are worth it, because we all hate being disappointed by a purchase and think of the money that we'll never see again... Here's my current wishlist of hyped beauty products! 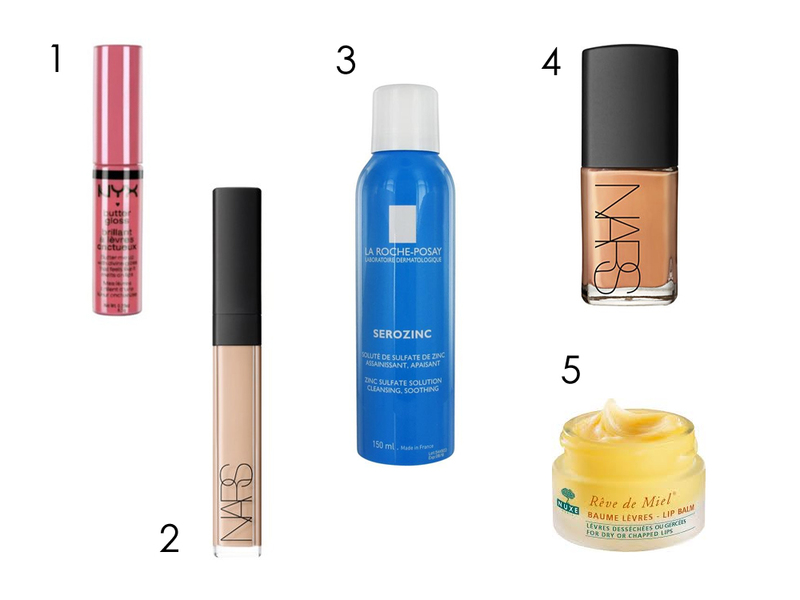 I swear I see a NYX Butter Gloss included in a blog post nearly every day - I can't get away from them! They sound like the perfect lip gloss though - described as "buttery lip gloss with a sweet scent that provides sheer to medium coverage on your lips without that sticky feeling". The shades have delicious sounding names like Peaches and Cream and Apple Strudel (coincidentally the two shades I especially want to try) and look really pigmented. I don't think there's a NYX stand near me, but I'd love to swatch these on my hand first to get an idea if they are as good as they sound and look. 3. La Roche-Posay Serozinc - £ Varied - £13.00 approx. Ever since Caroline Hirons mentioned this toner spritz on her blog I've mentally had it on my wishlist. Unfortunately it's not very easy to get hold of the U.K. and most people seem to purchase it from eBay at varying prices. I don't have an eBay account, so it's harder for me to make a purchase. (Please note I have linked to a seller above but cannot personally vouch for it - however it looks like they have sold a number of the product previously and have 100% positive feedback.) Serozinc is meant to be really good for oily skin with imperfections, as it contains Zinc Sulfate to regulate sebum, fight against bacteria and soothe irritation. Oh NARS, why are you so expensive? I don't think I can physically bring myself to buy this without trying it first - I need to try and get hold of some samples pronto. I've read a lot of reviews on this foundation and there some really negative reviews among the many, many positive ones, but the only way I can really know is trying it on my own skin to see if it works for me. This is a possible contender for my wedding day foundation - no SPF, buildable coverage, hydrating and brightening formula, non-comedogenic... it just sounds wonderful! 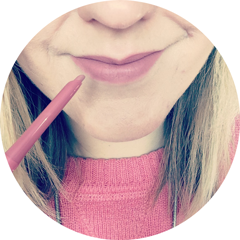 I am obsessed with lip balms, which is why I'm intrigued by this hyped product. I want to know if this is as nourishing and repairing to the lips as it's meant to be - the ingredients indicate it would; Honey, Shea Butter, Plant Oils, Grapefruit Essence... Yum. I have way too many lip balms at the moment, so that's my reason excuse for not giving in, but in all honesty I'm worried about it disappointing me because £9.50 is a lot to spend on a lip balm! I will definitely keep you all updated as to whether I eventually splurge on any of these beauty bits, but in the meantime I'd love to know if you have any of the products I've mentioned above and whether you think they are worth the hype?